Simplicity and elegance come together with this interesting, modern take on a grid pattern. 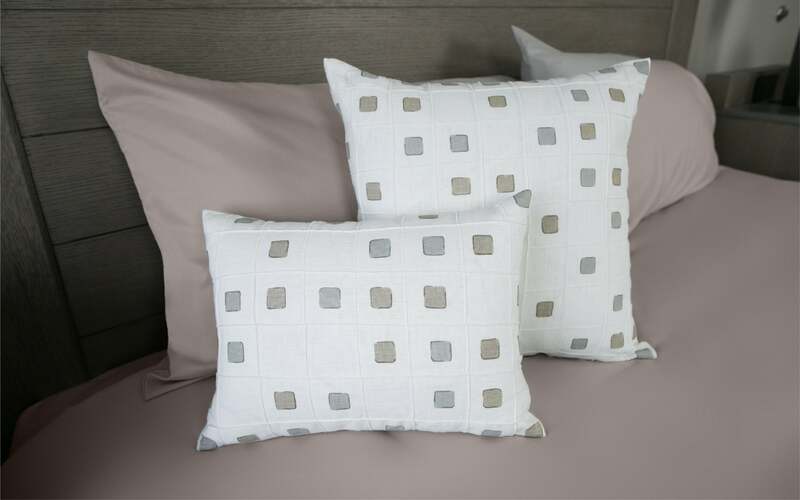 This modern pillow is available as a 12" x 16" and a 18" x 18" cover with zipper closure, and also with insert (see below). 12" x 16" 18" x 18"